People line up outside of Best Buy near the Green Acres Mall on Black Friday on November 24, 2017 in Valley Stream, NY. 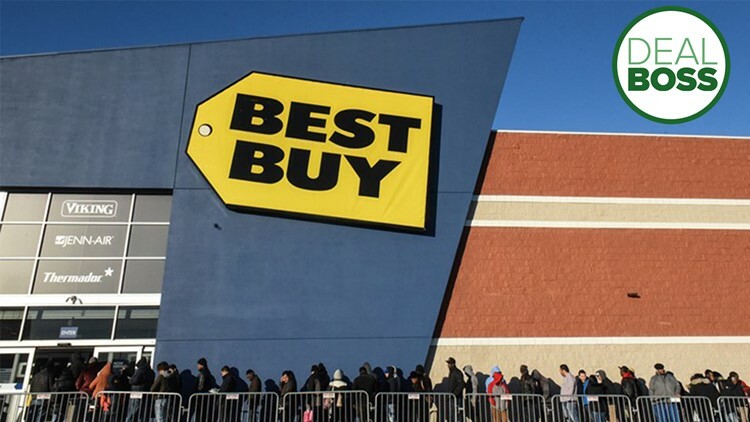 Best Buy re-launches a Black Friday TV deal in time for the Big Game. Ready, set, save! As we count down to Super Bowl 2019, I'm starting to see more Game Day big screen bargains. While the week leading up to Black Friday every year is hands-down the best time to buy a TV, Super Bowl TV deals that are on par with Black Friday often appear as special "deal of the day" offerings — which is the case with today's steal: a 43-inch Sharp 2160p 4K UHD Roku-enabled Smart TV for $199.99. I had a chance to test this TV during the holiday season and I found that it provides a stunning picture. It's also a top-rated TV (read the reviews on Best Buy) and at this price, it's a no-brainer if 43 inches is big enough for your needs. If the TV I've found doesn't meet your requirements, I'll have a round-up of even more big screen deals on Monday — which is the best day to buy before the Big Game.